Rakuten Securities HK has access to actual tradable prices directly from multiple liquidity providers, which are based on real bids and offers currently available. The system is designed to show you the best available price to buy and sell currently available to Rakuten Securities HK from the multiple liquidity providers that feed prices into the Trading Station. Having multiple prices provided to Rakuten Securities HK by several of the world’s largest financial institutions means that you will see very tight, variable spreads, with precision down to as much as 1/1000th of a cent. Many institutions in the forex market quote prices down to 1/100th of a cent in the euro/U.S. dollar currency pair. 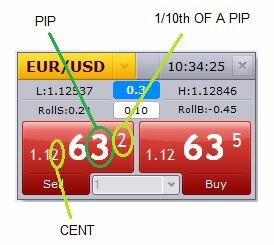 1/100th of a cent is called a “pip”; therefore, a change in the price of a euro from $1.1263 to $1.1264 is a change of one pip. Rakuten Securities HK actually shows prices with an even greater degree of precision, down to 1/10th of a pip (which is 1/1000th of a cent). Forex prices are always quoted in pairs, such as the euro to the U.S. dollar (abbreviated EUR/USD). The price shown in the dealing rates box to the right defines how much of the second currency one unit of the first currency is worth. For example, a EUR/USD buy price of 1.12630 means that it takes $1 and 12.630 cents to buy one euro. Sell Price: Also known as the “Bid Price”, this is the available price at which you can currently sell . The system receives prices from multiple global banks, and always shows you the best tradable sell price available to Rakuten Securities HK, quoted to 1/10th of a pip. Buy Price: Also known as the “Ask Price,” this is the available price at which you can buy. The system always shows you the best buy price available to Rakuten Securities HK. Currency Pair: This shows the currencies you are currently trading; in this example, the euro/U.S. dollar. Current Spread: The current difference between the buy and the sell price, shown in pips. This is your main cost of trading. Pip Cost: The Pip Cost gives you the pip value for each currency in real time. Low Price: The lowest sell price touched in the current day of trading. High Price: The highest buy price touched in the current day of trading. Time: The last time the price was updated. 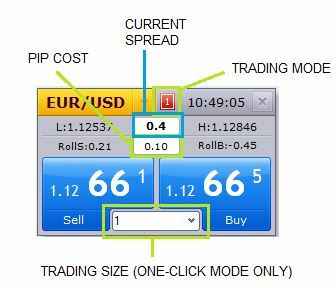 Trade Size: You can select how many lots you want to trade when in one-click trading mode. When you first open the Trading Station, you will see our 20 most popularly traded pairs in the dealing rates window. To add additional pairs, click on the “Symbols” button at the top of your trading station. The Currency Subscription List will appear. Place a check mark next to the pairs you want to see in the dealing rates window, and uncheck any pair that you don’t want to see. You can view a maximum of 20 pairs at a time.